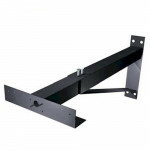 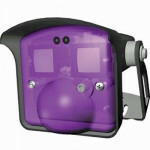 10UBRACKETUL BEA Glass Door Maglock Mounting Bracket BEA Maglock Accessory Information BEA o.. 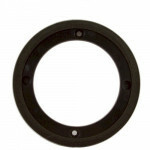 Weather ring for BEA pushplates 6" weather ring. 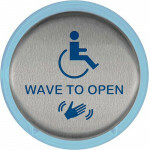 BEA weather rings assure a perfect closure ..
10PBRLL BEA Push Plate, Stainless Steel 6" Round, Large Handicap Logo.Pushing Plate activates a mome.. 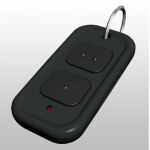 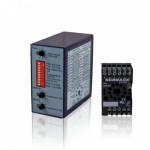 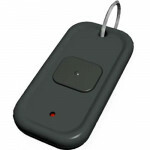 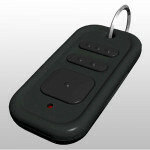 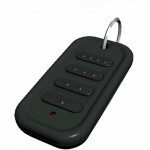 The BEA 10TD433HH1 is a 433MHz One-button Handheld Digital Transmitter that is ideal for the wireles..
BEA 10 TD433HH4 433MHz Four-button Handheld Digital Transmitter that is ideal for the wireless activ..
10PBR45LL BEA Push Plate, Stainless Steel 4.5" Round with Large Handicap Logo. 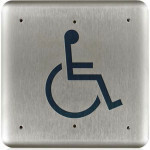 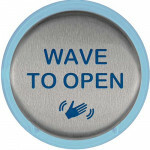 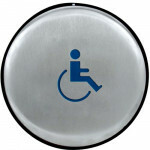 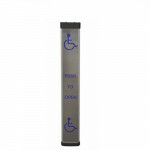 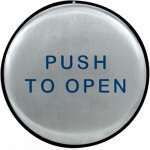 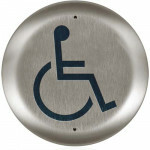 Pushing Plate activat..
10PBSLL BEA Push Plate, Stainless Steel 4.75" Square, Large Handicap Logo. 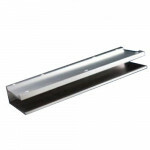 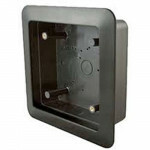 Pushing Plate activates a..
10EMR475 BEA Panther 4.75" Round Slim Profile Push Plate Assembly with Blue "Push to Open" Text Only..
10BOX45SQSM BEA Box, 4.5” Square, Flush Mount Box BEA Mounting Box Information Features and ..
10EMR6L Panther 6" Round Slim Profile Push Plate Assembly with Blue Handicap Logo Only for wireless ..
10MS21HR1 BEA Touchless Switch Round 6" Text & Logo, touchless(Wave to Open) activation plate to..
10MS21HR BEA Touchless Switch Round 6" Text Only, touchless activation plate to trigger activation i..
10TD900HH3 BEA Digital Transmitter 900 MHz 1 Button Controls for use with 10RD900 Receiver BEA 9..
10TD900HH2 BEA Digital Transmitter 900 MHz 1 Button Controls for use with 10RD900 Receiver BEA 9..